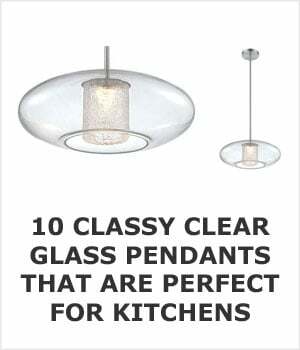 Clear glass pendant lights come is a huge variety of styles and designs. They’re perfect for any decor style and, despite being made with ‘plain’ glass, they can be stunning in any setting. Here are some of the classiest ones you’ll find for your home. 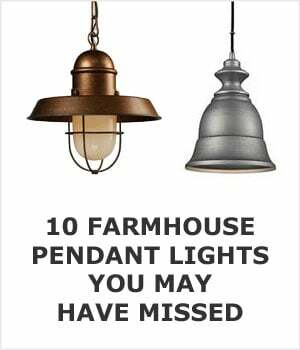 The charm of old school industrial design makes this a standout pendant light for your kitchen or dining room. The curved ‘schoolhouse’ style glass dome is simple and elegant, contrasting perfectly with the solid hanging rod and base. It’s unobtrusive, yet impossible to miss. It’s simple, yet quietly ornate. In other words, it’s the best of both simplicity and practicality in a pretty little package. You can see more pictures of it here. Looking for illumination without all the fuss? The clear light fixture inside its unclouded dome makes no pretenses about what its function is. Turn it on for a heavenly, ethereal glow that’s understated and elegant. This is the perfect dining room illumination for cozy, romantic dinners, especially if you use an ELV dimmer with it. 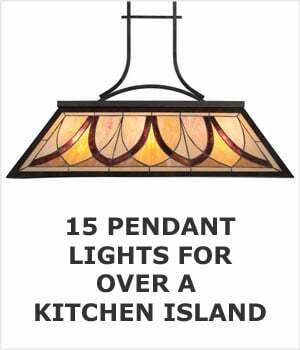 It also makes great task lighting above your kitchen island or even over your kitchen sink. It’s availale at 1800lighting.com aka Capital Lighting, but they have showrooms in NJ and FL if you want to see it in person. Gentle curves, shiny chrome, and clear glass make a great combination, as exemplified in this pretty fixture. The large lantern-style dome is made of clear glass and allows the 150 watt incandescent bulb inside to shine brightly. 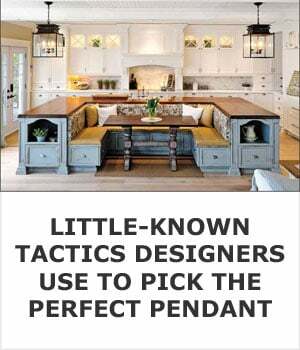 Pair it with a dimmer for some sweet ambient lighting over your dining room table or hang several of them above your breakfast bar or kitchen island for some seriously impressive task lighting. Like this look? Find it here. If clear glass is what you want, but plain glass is too boring for your tastes, consider this sweet seeded glass pendant light. The upturned goblet-style seeded glass shade surrounds three incandescent bulbs for a look that’s slightly gothic, a little romantic, and very pretty. The candelabra style never goes out of fashion and is perfect for adding charm to your living room or dining room. Sea Gull makes this style in larger chandeliers and wall sconces too. This eclectic multi-pendant has plenty of charm. 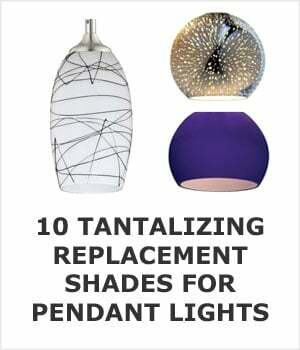 Each clear seeded glass shade is shaped slightly different and the fixtures are fully adjustable so you can stagger their height for a quirky, whimsical look. The cords are slightly kinked, adding to the charm of the piece. This light is definitely a standout feature for your kitchen. It uses either LED or incandescent bulbs so you can get the perfect amount of light just where you need it. Wayfair carries this one too. This foyer pendant combines the classic elegance of a candelabra with the stunning simplicity of clear- mouth-blown glass. 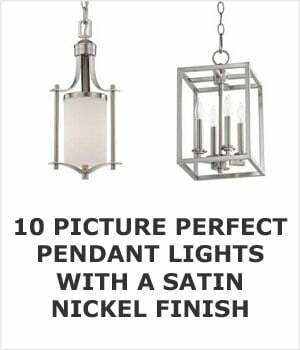 The upturned glass shade surrounds three candle-sized incandescent bulbs and the entire fixture is suspended from an aged brass or nickel chain that matches the finish on the fixtures. The candelabra appears to be floating on air, giving this light an almost magical look. It’s a great piece of statement lighting for your foyer or living room. We found this one on a few websites so shopping around for the best price would be a good idea. Here’s what we found, but you can use Hudson Valley’s find a showroom tool to get up close and personal with it. Sometimes, you just want a simple pendant light to illuminate your space. This is the perfect choice for just that–clear glass covering a 100 watt incandescent bulb (pictured with an Edison style bulb) that suspends from an adjustable cord. It’s small (under 7 inches in height) and practical, plus it’s fairly inexpensive and available in brushed or polished nickel, bronze, or brass. 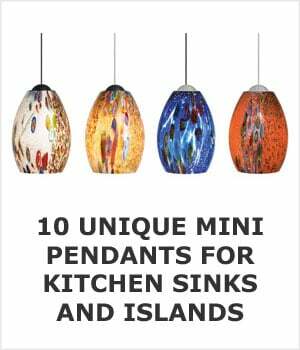 Use several of these over your kitchen island to boost your task lighting, or put one above your desk for an unobtrusive burst of illumination. There’s no mistaking the fact that this pendant light is all about illumination, and not the shade. In fact, this oversized pendant’s saucer-shaped shade is only there to direct the light downwards so you can complete your tasks without straining your eyes. Of course, it looks great if you have a minimalist decor or if you want something sleek and clinical in your kitchen. It can be used with halogen or LED bulbs for added convenience. Looks like the best deal on it can be had here. There’s plenty of geometric goodness in this clear glass globe pendant. The quirky orb casts plenty of lumens above your kitchen island or bar and the stylish Edison bulb adds to its’ charm. This one can be hung solo for a stylish centerpiece or in a row to create a fun look in your kitchen, bar, or anywhere else in your home. It uses LED bulbs for energy efficiency and will bring a little fun to wherever you use it. At the time of this writing you can pick it up here for $18 less than anywhere else that I could find. At first glance, you’d be forgiven for thinking that this glass pendant light was basically a bunch of bare bulbs hanging in a row. After all, that is the impression it aims to give. However, if you look more closely, you’ll see the cleverness in this pendant’s design. Five 20 watt bulbs are each encased in teardrop shaped shades attached to a chrome base, creating a piece of lighting that’s subtle and smart. You can adjust each light individually to create a piece with varying lengths, or you can keep them all at the same height above your dining table or kitchen island. It even works with a dimmer so you don’t have to have five bulbs glaring at full brightness all the time. This is a fun and fully customizable piece of lighting that works well wherever you use it. I was unable to find it for less than what Wayfair had it for.